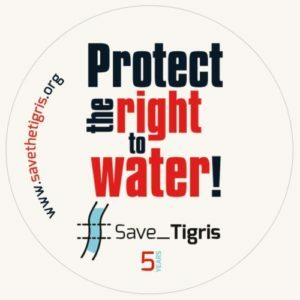 Save the Tigris Campaign and partners announce the first alternative civil society forum for water in Mesopotamia: the Mesopotamian Water Forum will be held from 6-8 April 2019 in Sulaymaniyah, Kurdistan Region of Iraq, and will involve civil society actors from the states of Iraq, Iran, Turkey, Syria. It will be an open space to give voice to those who are marginalized and excluded from the discussion about water management in the region. The Mesopotamian Water Forum is based on the social forum model, and is part of the global world social forum process. 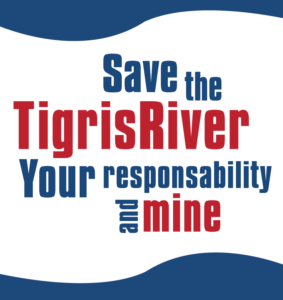 The idea of the Forum was launched during a joint meeting of Save the Tigris Campaign in the city of Sulaymaniyah, Kurdistan Region if Iraq, in April 2017. The website of the Forum can be found here. We want to foster public debate and encourage broad involvement in initiatives that might be implemented to transform water into an instrument for solidarity and peace, making it a model for the just and fair sharing of resources. We reject the use of water as a tool for oppression, used to entrench inequitable power dynamics that perpetuate ongoing conflicts. This Forum will provide a space for open and public dialogue about the status and access of bodies of water in the Mesopotamian region, and propose a framework for a water policy which is based on participation, sustainability and other social and ecological principles. This event will be an important opportunity to promote a society-wide coalition for transboundary water cooperation that includes all relevant actors in the region. Civil society organizations, activists, researchers, academics, journalists, local community representatives and local authorities who share our values and are involved in the struggle for sustainable and participatory water management methods, who support our conviction that water is a tool for solidarity and sustainable peace, are invited to take part in the discussions and actions of this Forum. At least 300 participants from the region and beyond will take part in the 3 days of activities. We believe the preservation and equal sharing of water resources requires cooperation across Mesopotamia and on global levels. Thus it is crucial to share local knowledge with different parts of the world, and to gain from each other’s experiences. This event aims to gather people from Mesopotamia and beyond the region. Such as diverse group will allow us to come up with effective plans which build on and incorporate different perspectives. This in turn will facilitate actions promoting water as a force for peace among the nations of the Mesopotamian region. Registration for the Forum will open in December 2018. Keep an eye on our website for updates. We have identified 3 main water challenges in the region: public participation, dams and preservation of the ecosystem. To kickstart the discussions during the plenary sessions of the Forum, we will publish 3 papers on these topics in advance of the event, in December 2018. To complete these papers, we will need to include views from different geographical locations and expertise! Are you based in Iraq, Turkey, Syria or Iran? Do you have expertise in water resources? Then your contribution might be valuable. To do so, please read the abstracts on the website of the Forum and contact the authors via email. Your contribution could be included in the final paper and presented during the Forum! We welcome contributions in English, Arabic, Turkish, Farsi and Kurdish.